Pierce College Fort Steilacoom is seeking a dynamic community college executive who is ready to lead a college within a district environment. The Pierce College Fort Steilacoom President reports directly to the District Chancellor and CEO. The successful candidate must demonstrate the talent, energy and wisdom to lead Pierce College Fort Steilacoom, and to work collaboratively with the executive leadership throughout the district to achieve institutional outcomes. The ideal candidate will also advocate for resources in a community where relationships with key stakeholders are strong. Pierce College is a high-performing, mission-driven, data-informed and student-focused district committed to equity, diversity and inclusion. The college has developed a national reputation for academic excellence and support services to ensure student success. Pierce College is an Achieving the Dream Leader College, and was the 2017 recipient of their prestigious Leah Meyer Austin Award, given to a college that has shown measurable improvements in student outcomes. Pierce College Fort Steilacoom was also named as one of 10 finalists for the 2019 Aspen Prize for Community College Excellence, the nation’s signature recognition of high achievement and performance in America’s community colleges. The district is comprised of two community colleges and a far-reaching extended learning program. 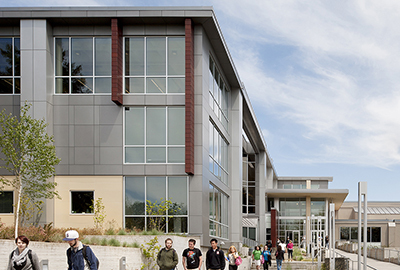 Pierce College Fort Steilacoom serves more than 6,000 students. Candidates must have a minimum of three years of experience in senior leadership at a community college. An earned doctorate is strongly preferred, and a master’s degree is required. Qualified candidates are invited to apply by March 29 to receive first consideration. Applications will be accepted until the position is filled.